Are you confused by various takes on the IPCC 1.5ºC Special report? So Nick Mabey could claim, “The IPCC report shows keeping climate change below 1.5°C is necessary, feasible and beneficial.“ The Guardian said it was, “affordable and feasible” but also mentioned that Bob Ward, from the Grantham Research Institute on Climate Change, called the final document “incredibly conservative”. In 2017, global warming breached 1℃. If the planet continues to warm at the current rate of 0.2℃ per decade, we will reach 1.5℃ of warming around 2040. The report’s prediction range was between 2030 and 2052. 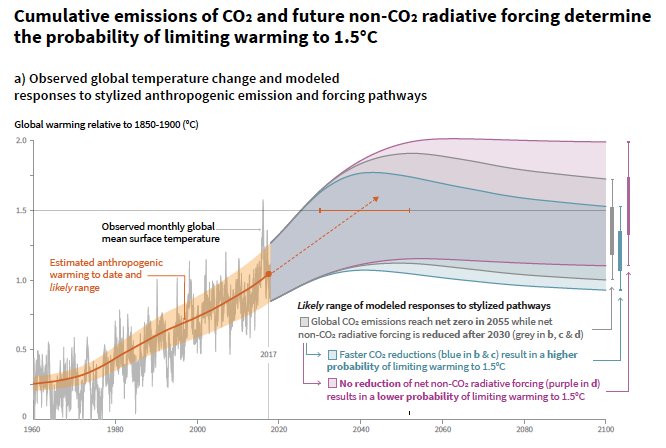 To judge feasibility, look at an IPCC chart which CNN shared, which shows temperature overshooting 1.5°C rise (gold line), assuming immediate drastic emissions cuts. Current national pledges under the Paris Agreement are not enough to remain within a 3℃ temperature limit, let alone 1.5℃. If you look at the long term, climate scientist Dr. Peter Carter estimates just our 2017 total greenhouse gas concentration equivalent locked in a long-term global mean surface temperature of 2.6 C.
Gavin reminds us that feasibility involves six dimensions. As Gavin puts it, our choice is between (mere) disaster at 1.5°C rise or catastrophe at 2°C. … the world (including us) will be involved in wars, revolutions, mass displacement of millions of people, famines, and epidemics. And that’s the better of the two scenarios. Given the lack of credible alternatives to an unsustainable status quo, modern governments and most of their voters are sleepwalking into catastrophe. At Bulletin of the Atomic Scientists, Mario Molina, Veerabhadran Ramanathan, and Durwood J. Zaelke point out an even worse problem. “... the report, dire as it is, misses a key point: Self-reinforcing feedbacks and tipping points—the wildcards of the climate system—could cause the climate to destabilize even further. The report also fails to discuss the five percent risk that even existing levels of climate pollution, if continued unchecked, could lead to runaway warming—the so-called “fat tail” risk. 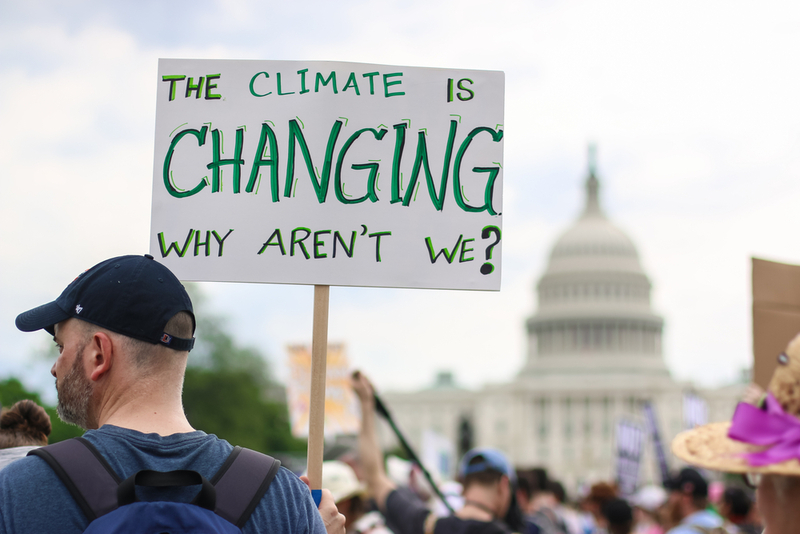 These omissions may mislead world leaders into thinking they have more time to address the climate crisis, when in fact immediate actions are needed. Adding 50 percent more warming to reach 1.5 degrees won’t simply increase impacts by the same percentage—bad as that would be. Instead, it risks setting up feedbacks that could fall like dangerous dominos, fundamentally destabilizing the planet. 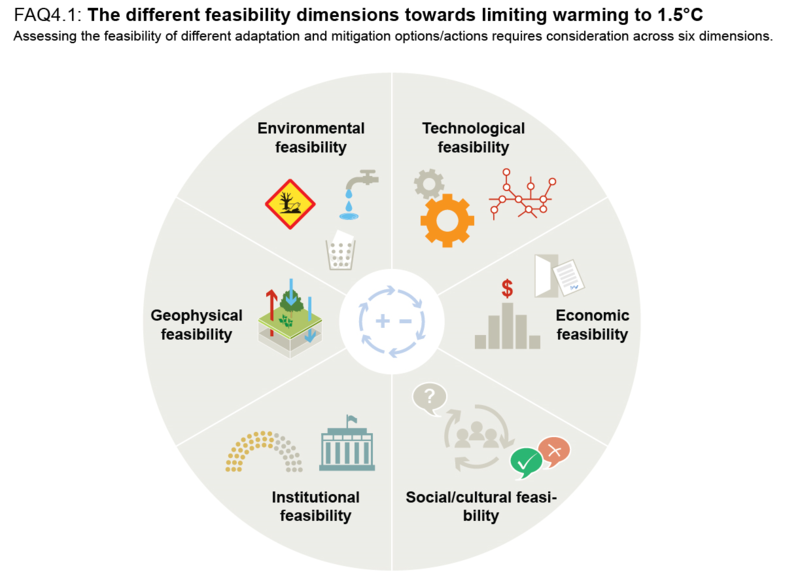 ... our choice is between (mere) disaster at 1.5°C rise or catastrophe at 2°C. Not unlike how (on a much smaller scale) the prognosis of a heart attack victim is frequently not good, even assuming prompt competent CPR, defibrillation on site (if helpful in that particular case), and quick transport to an emergency room with expert treatment. Yet given that choice between "slim" and "none", we don't hold back on giving people that small chance of having a reasonable life afterwards. In this 15 minute interview Peter Wadhams explains serious inadequacies of the IPCC 1.5°C Special Report. The growing number of reports from scientists who have more focused knowledge about consequences of climate change turns the alert alarm clock to very close to midnight if we want a planet fit for our future generations in which to live. Thanks for paying attention, Joan. Richard Alley, one of the greatest climate scientists of our time, explains why the IPCC 1.5 Special Report vastly underestimates how much sea level could rise. In a video chat with Baird College students, Alley says there's some risk that sea levels rise 15 to 20 feet in their lifetimes. … think about what 15-to-20 feet of sea-level rise in the next 70 or so years looks like. It means not just higher storm surges from hurricanes, but the permanent drowning of virtually every major coastal city in the world. Miami, New Orleans, large parts of Boston and New York City and Silicon Valley, not to mention Shanghai, Jakarta, Ho Chi Min City, Lagos, Mumbai — all gone. … compare Alley’s numbers to the latest report from the Intergovernmental Panel on Climate Change, … The report projected that with 2 Celsius of warming, which is the target of the Paris Climate Agreement, the range of sea level rise we might see by the end of the century is between about one and three feet. … IPCC reports … rely on published science that is often out of date — or at least, far from the cutting edge. Alley simply has a broader understanding of ice dynamics than many scientists ,… Alley’s analysis includes not only geology and paleoclimatology, but also a big dose of physics and engineering — which is especially helpful when it comes to understanding the possibility of rapid ice sheet collapse. If West Antarctica goes, that’s 10 feet of sea-level rise right there. Then if you add in ice loss from Greenland, a little from East Antarctica and other sources, you quickly get to 15 to 20 feet. ... the IPCC’s warnings, dire as they were, pulled punches. In fact, warming is already accelerating and by our estimate warming is on track to blow through the 1.5 degree level by 2030—a decade before the IPCC estimated—possibly even earlier. That prognosis for disaster in 20 years might be postponed a bit by solar dimming. But a simultaneous equivalent of the Maunder Minimum would vastly complicate the climate crisis too, in ways hard to predict.